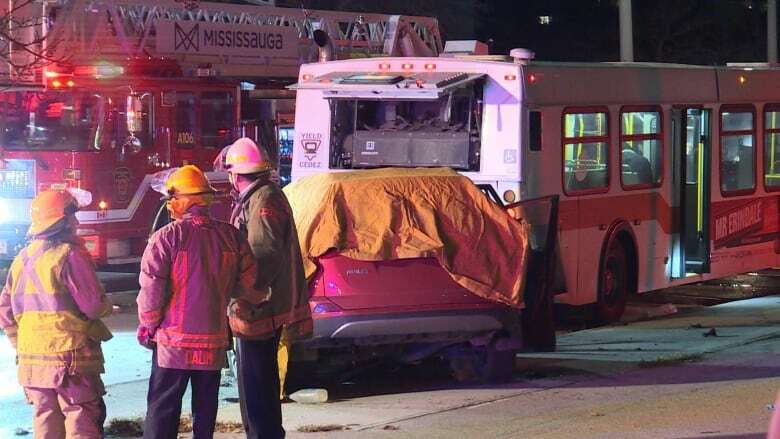 A man was killed and a woman badly injured during a collision between an SUV and a transit bus in Mississauga early Friday morning, according to police. The male driver of the SUV, 70, died at the scene and his female passenger, 61, was rushed to a trauma centre in life-threatening condition, said Const. Akhil Mooken, Peel police spokesperson. Officers were called to the crash at the intersection of Bloor Street and Tomken Road minutes after midnight. 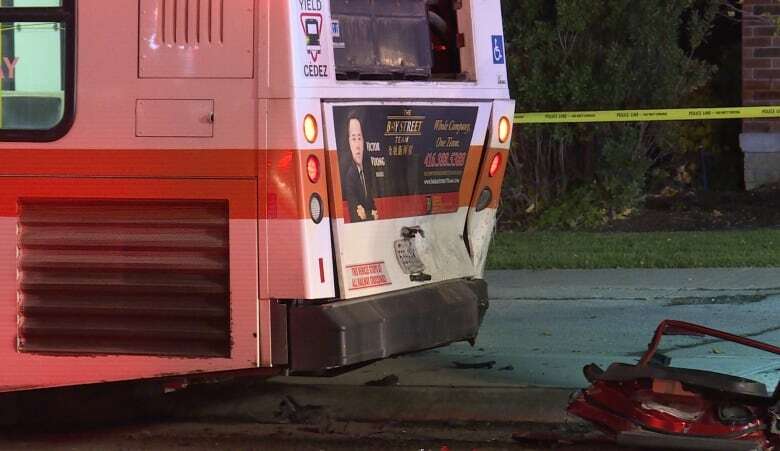 Several passengers on the bus also sustained minor injuries and were taken to hospital for assessments, Mooken said. Peel police's major collision bureau has taken control of the investigation. The forensic identification unit was also on scene for several hours overnight. Mooken did not have any further details about the circumstances of the crash or the identity of those travelling in the SUV. Anyone with potentially useful information for investigators is asked to contact Peel police or leave an anonymous tip with Crimestoppers.